Specially designed for removal of twinand large size wheels. 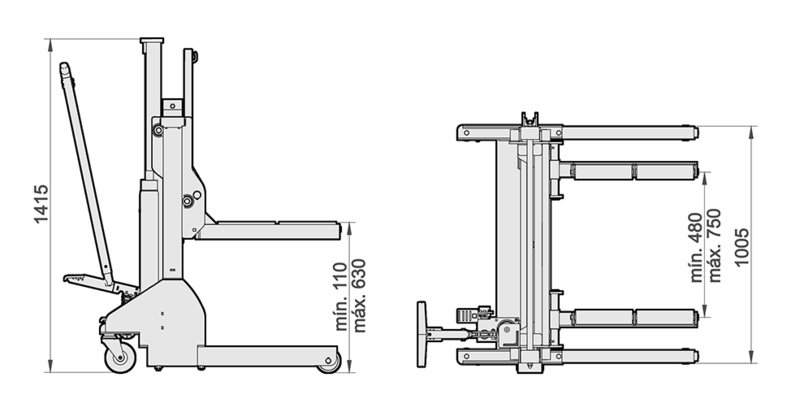 Adjustable, five-position liftingarms. Each arm includes two rollers to be able to turn the twin wheels on the truck independently.